This morning I was researching the Money Mindset. 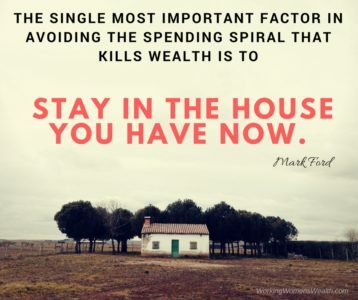 I came across this quote by Mark Ford that in order to stop the spending spiral, “Stay in the house you have”. It immediately took me back to one of my favourite books, The Millionaire Next Door. Let’s say you’ve done the maths on the bigger cost for the house. You’ve saved a bit for the Property Transfer Tax and the Sales Agent Commission for selling the house. You’re super vigilant and even costed in the once off costs for more furniture and redoing ALL your curtains to fit. And the new ones for all those extra rooms. Then let’s assume there are no ‘quick fixes’ you need to make like repainting the whole house. After all of that you still convince yourself you can afford it (mostly because it’s cheaper than the divorce). There are still reasons why you shouldn’t upgrade your house from a financial perspective. You see, a house upgrade isn’t simply just a bigger version of the same thing. It usually comes with a little more than that. The cost of debt. This is the most obvious one – it stands to reason that this upgrade will cost more, and you’ll need more finance from the bank. 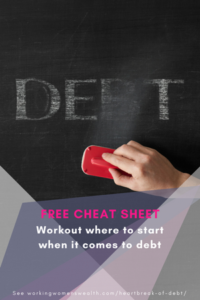 Interest costs, or the cost of debt, take up most of your repayments in the beginning half of your repayment period. Which means paying for the banker to sit on the beach instead of you. The taxes on the house. When the size of the land increases, or the cost of the house increases, or whatever the local government council decides is the measure for paying tax, your monthly tax bill increases. Water and electricity. The new house comes with a bigger garden. And a bath as well as a shower with more geysers to heat. It also has more rooms or storeys, so more lights are left on. And so your monthly bill just increases… and increases. Cleaning and garden costs. Lastly, all those extra rooms need to be cleaned, and so instead of the cleaner coming once a week, she now comes twice… and you go through double the cleaning agents. And now you need a gardening service, and an automatic irrigation system! The last home upgrade we did resulted in us doubling our finance costs and doubling our taxes and utilities. I’d budgeted for the finance costs, but this ongoing added expense still kills me! The challenge is, it’s very hard to go back on this decision. Not just emotionally. Financially, the cost of selling your property and buying the next one, taxes and all those curtains costs a lot. And because it’s such a long term decision, the circumstances you were in when doing the sums may have changed. 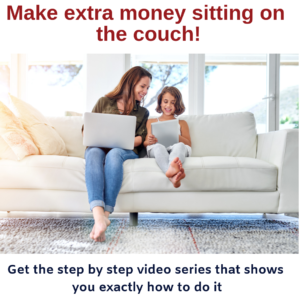 You may want to start your own business – but now can’t do so because you can’t give up that corporate salary. And so you get stuck in a cycle of paying more. An interesting stat to leave on from The Millionaire Next Door is that in of the millionaires in America, most of them have on average six and a half times more wealth than their next door neighbour. They’ve also lived in their house for an average of 20 years. So before you upgrade, work out whether you’ll have 6.5 times more wealth AFTER the upgrade than those in your new neighbourhood!